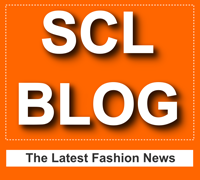 The StartingAClothingLine.com Blog covers the latest news in fashion. We cover fashion events, fashion design, fashion designers, clothing lines, how to start a clothing and the latest news from The StartingAClothingLine.com Company. Detroit, Michigan, July 22, 2015: StartingAClothingLine.com is pleased to announce they are offering a special package for a limited time. The Digital Fashion Pro Ultimate T-Shirt Designer Package is a software package designed to help entrepreneurs launch their own line of custom t-shirts. This package is only available for a limited amount of time and saves customers more than $300. The Digital Fashion Pro Ultimate T-Shirt Designer Package was created to make the process of designing t-shirts much easier, even for individuals who aren’t good at drawing items on their own. This package includes five items that will make creating t-shirts an easy process. Customers will receive the Digital Fashion Pro Basic software plus four upgrades: Style Pack, Beyond the Basics, Fabric Library and Mega Vector Art Pack. This package gives entrepreneurs all the items they need to ensure they can give their customers amazing t-shirts. When customers purchase this t-shirt designer package from StartingAClothingLine.com, they will be able to use all of these tools to create custom designs unlike anything else available on the market. It is so easy to use, even someone with no experience can create professional-grade t-shirts sketches. You can create T-shirts on Windows computers and on Mac Computers. Anyone interested in learning about the Digital Fashion Pro Ultimate T-Shirt Designer Package can find out more by visiting the StartingAClothingLine.com website or by calling 1-888-435-9234. StartingAClothingLine.com provides assistance to entrepreneurs who are looking to start their own clothing line. They offer software, as well as other training tools, to give their customers the information they need to make their own fashion line, even if they can’t draw. Their goal is to help aspiring designers make their dreams a reality.